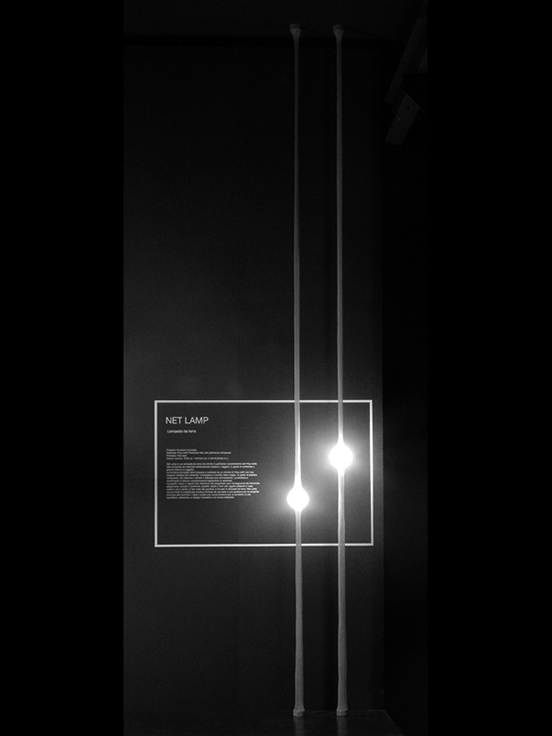 This is a floor lamp that utilizes the particular character of the Poly-net, which is composed by extremely elastic and light net, enable to contain an object inside. 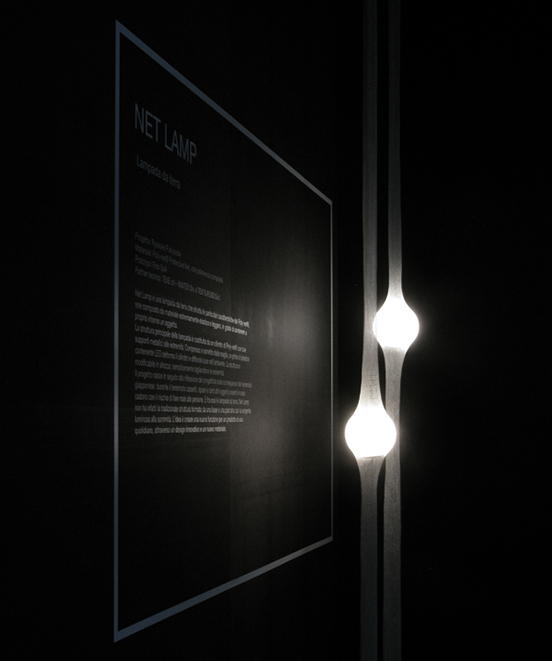 The principal structure of this lamp is built by one cylinder of the Poly-net with two metal supports at the end part. 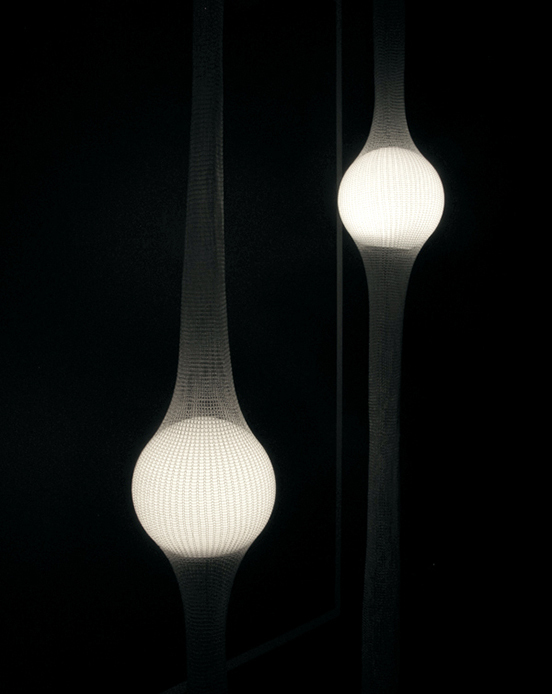 Compressed by knitting, a globe of plastic containing LED deform the cylinder and diffuse light in the environment. The structure is able to be modified in height, simplistically cut the end part. This project was selected as a finalist for International Design Competition DES|IN – Premio Cifarelli and still under development.